Edmonton is harnessing less solar energy than usual as clouds hide the sun, blocking its rays for days at a time. If you think it's been days, even weeks since you've last seen the sun, it's not your imagination. Solar panels used by NAIT's alternative energy program produced 38 per cent less electricity in October and November compared to the last year, according to program chair Jim Sandercock. "At this time of year the sun is dismal and it's just barely coming over the horizon and then going down," he said. Some of that difference can be attributed to an unusually sunny 2015, Sandercock said. On average, NAIT's year-to-year solar energy production varies by 20 to 30 per cent depending on weather conditions. 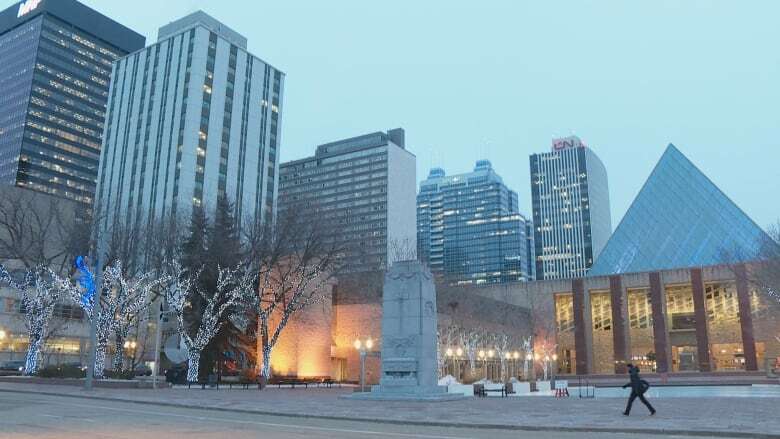 Edmonton's recent cloud cover is the result of unseasonably warm weather, according to Environment Canada meteorologist Dan Kulak. Lakes throughout Alberta haven't frozen completely, he explained, allowing the exposed water to evaporate into low-lying cloud cover. "There is a linkage between the clouds that we're getting and the warmer weather we're getting," Kulak said. While Kulak predicts warmer weather until at least January, he said Albertans won't escape winter's chill altogether. Temperatures likely won't rise by more than a few degrees. "We never escape winter," he said. "It can switch pretty quick and we can get a cold snap but keep in mind that the predominant trend is going to be towards the milder conditions during the winter season. "But even if you're two degrees above normal, it's still not short sleeves and shorts (weather)." Kulak said the sun will break through once winds shift, or after temperatures drop further below freezing.